Parthenocissus quinquefolia, known as Virginia creeper, Victoria creeper, five-leaved ivy, or five-finger Woodbind, woodbine, false grapes, five leaves, American Ivy, thicket creeper, Wild woodbine, is a species of flowering plant in the grape family, Vitaceae. The plant is native to eastern and central North America, from southeastern Canada and the eastern United States west to Manitoba and Utah, and south to eastern Mexico and Guatemala. It occurs statewide, typically being located in open areas of ravines, valleys, rich woods, thickets, rocky bluffs, hillsides and fence rows. 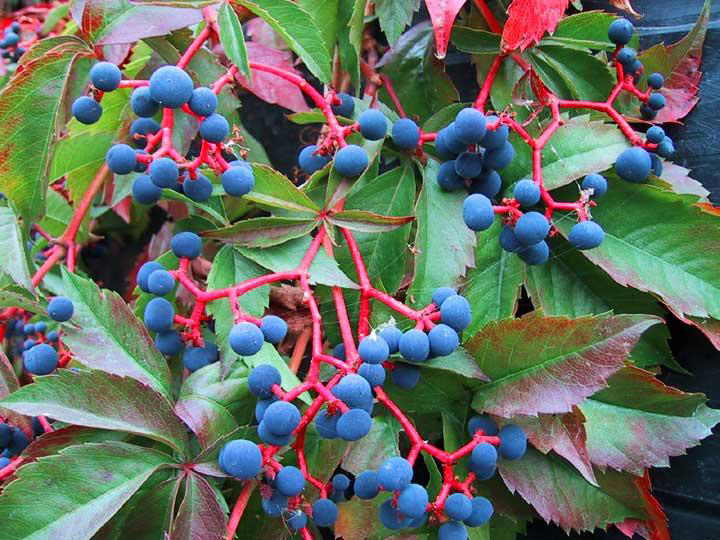 Virginia creeper belongs to the same genus as the Boston, or Japanese ivy. 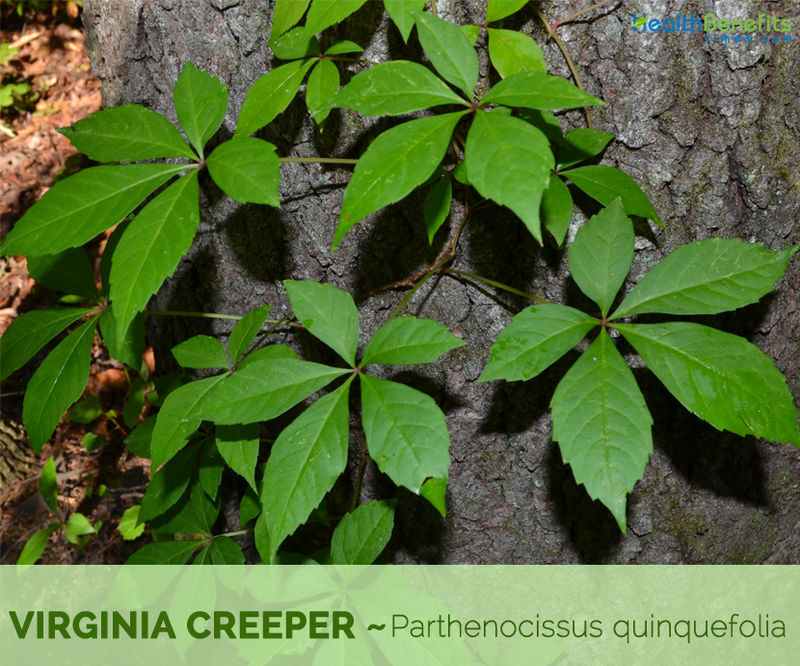 Genus name comes from the Greek words parthenos meaning virgin” (as in “Virginia”) and cissus translates as “ivy.” Virginia creeper is, truly, native to Virginia but is not true ivy, so this part of the botanical name is misleading. Meanwhile, the species name, quinquefolia, refers to the five leaflets of which each of the leaves is comprised. 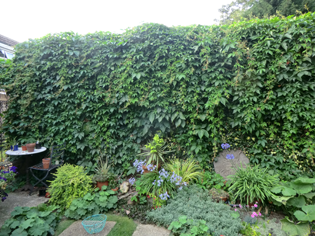 Virginia creeper is a fast-growing, perennial, woody vine that grows about 20–30 m (66–98 ft.) tall. The plant is found growing in deciduous woodlands, woodland borders, thickets, gravelly seeps, limestone glades, rocky bluffs, fence rows, and walls of buildings. It can adapt to disturbed habitats in both rural and urban areas. It prefers acidic soil, and tolerates a wide range of soils from dry sandy soils to moist loamy soils. The plant is also salt tolerant. The species is cultivated as an ornamental in many moist temperate areas of the world. 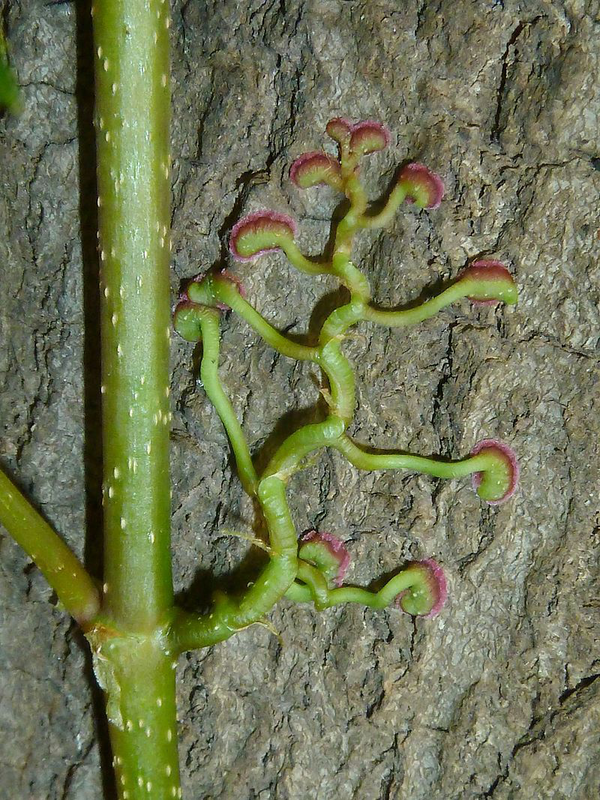 New stems are brownish-green and finely hairy but gradually acquire pale, raised dots and turn purplish-brown with age with branched tendrils that end in adhesive discs. 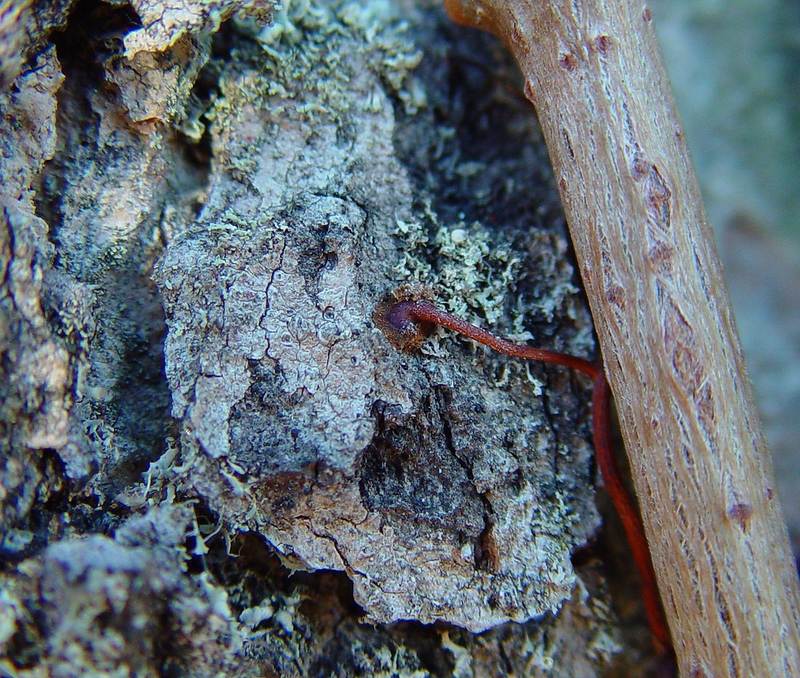 Bark is gray-brown, becoming coarsely hairy due to aerial roots and tendrils. When rapidly growing, the aerial roots are bright, orange-brown. 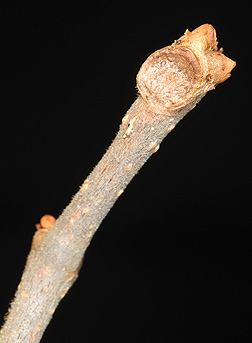 Twigs are orange brown, finely pubescent with pinnately branched tendrils ending in adhesive discs. Leaves are alternate, palmately compound, containing five elliptical leaflets per leaf with coarsely crenate to serrate margins. Leaflets range in size from 2-6 inches and have toothed margins. Leaflets are elliptical to nearly diamond shaped, usually widest at or above the middle. The leaflets are red when they first emerge but turn green as they mature. In the fall, leaves turn a bright red to maroon color. The upper surface is usually dull green though may be shiny when young, sparsely to moderately stiff-hairy especially along the veins; the lower surface is somewhat paler and usually short-hairy. Leaflet stalks are usually hairy. Flowers are small, no showy, greenish, produced in inconspicuous clusters on long stems in late spring. Flowers are about ¼ inch across, greenish yellow with 5 (occasionally 6) oblong-elliptic petals that are boat-shaped at the tip and initially spreading then become strongly bent back (reflexed). In the center are an equal number of stamens with creamy yellow tips. Flower stalks are up to ¼ inch long, smooth to sparsely hairy, green to reddish. 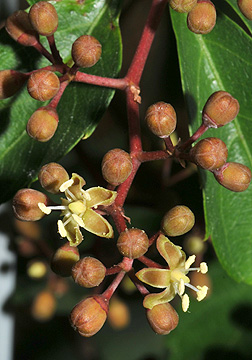 Flowering normally occurs from June to August. Fruits are small hard 4 to 6 mm diameter round blue -black berry that usually contains two to three seeds and is carried in small bunches like grapes. They are borne in long stemmed clusters maturing in late summer. Fruit ripening occurs from August to October. These berries contain oxalic acid, which is moderately toxic to humans and other mammals. The berries provide an important winter food source for birds. 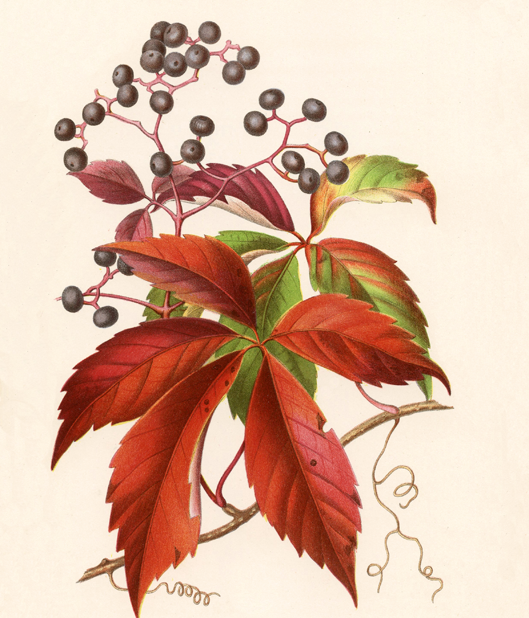 Root, Bark, twigs, fresh leaves, berries and resin of the Virginia creeper plant are used medicinally. Fruits are hidden by the foliage and are often not visible until autumn leaf drop. 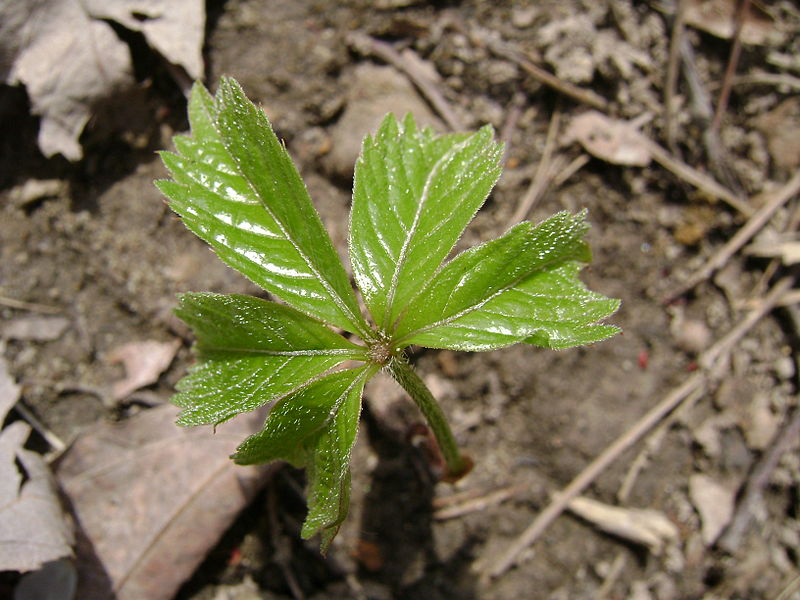 Native Americans used the plant as an herbal remedy for diarrhea, difficult urination, swelling, and lockjaw. 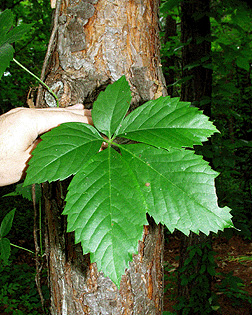 Bark has been used in domestic medicine as a tonic, expectorant, and remedy for dropsy. Berries have been found serviceable in rheumatic complaints and are found to help cure dropsy. Roots are used for diarrhea and the bark and twigs are made into cough syrup. Bark and fresh young shoots are aperient, alterative, emetic, expectorant and tonic. 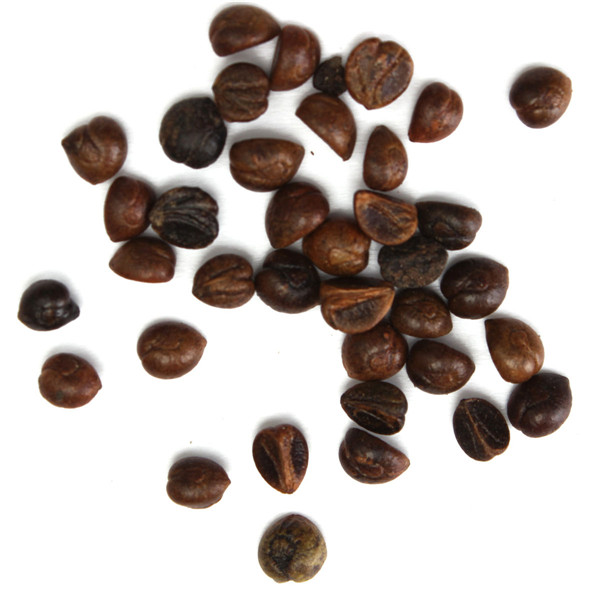 Hot decoction can be used as a poultice to help reduce swellings. Tea made from the leaves is aperient, astringent and diuretic. Tea is used as a wash on swellings and poison ivy rash. Tea made from the plant is used in the treatment of jaundice. Tea made from the roots is used in the treatment of gonorrhea and diarrhea. Fruit is useful in treating fevers. Resinous matter from the bark of the main stems is considered a useful stimulant, antispasmodic and emenagogue. Leaves juice is said to cure headache, when applied to the nostrils. An infusion of the leaves and berries will also alleviate a severe headache. Decoction of the leaves applied externally will destroy head lice in children. Leaves have also been used as poultices and fomentations in glandular enlargements, indolent ulcers, etc. Leaf tea used to wash swellings and poison-sumac rash; mixed with vinegar for wounds and lockjaw; astringent and diuretic. Parthenocissus quinquefolia is grown as an ornamental plant, because of its ability to rapidly cover walls and buildings, and its deep red to burgundy fall (autumn) foliage. 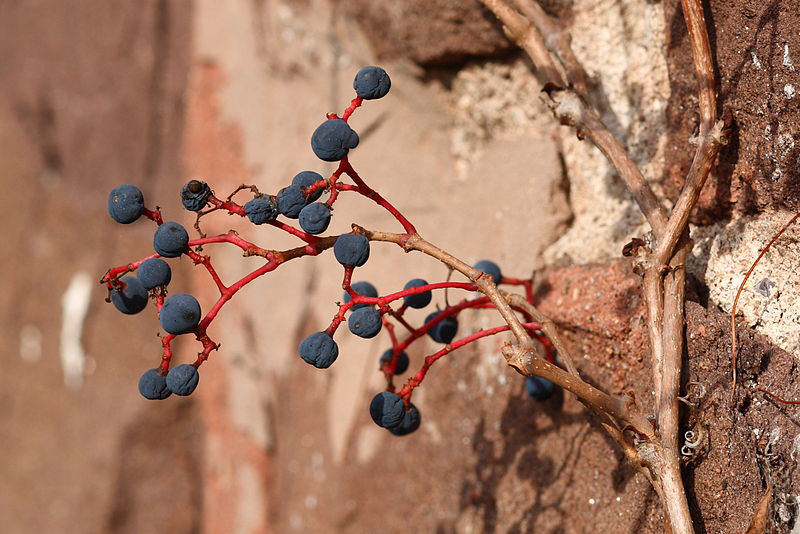 Parthenocissus quinquefolia can be used as a shading vine for buildings on masonry walls. 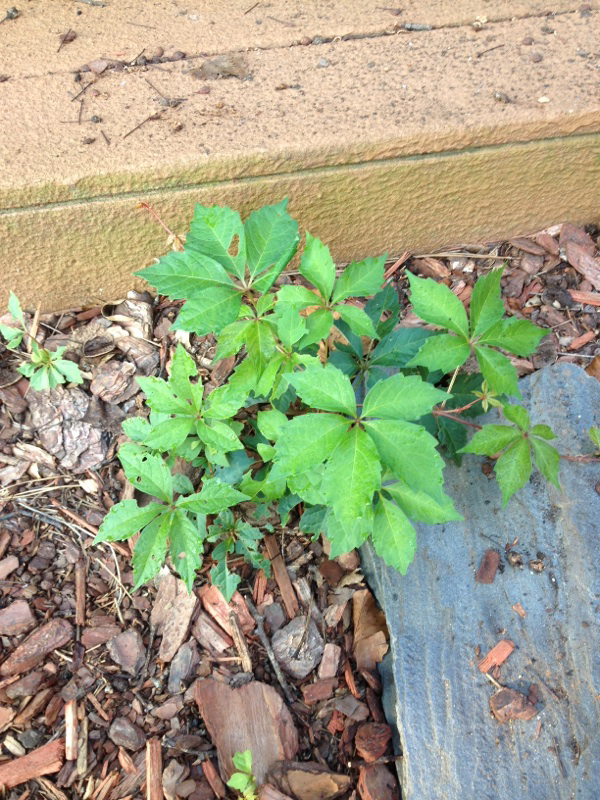 Virginia creeper is used for watershed protection and erosion control. 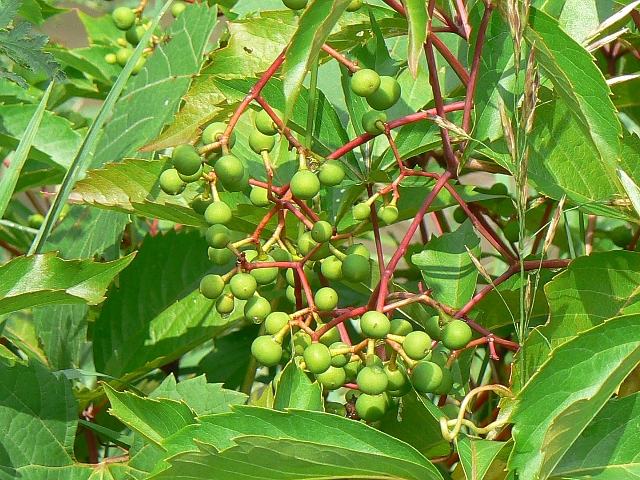 Berries of this plant are eaten by many animals especially birds. Animals such as mice, skunks, chipmunks, squirrels, cattle and deer will munch on the leaves and stems. It is an excellent covering for walls, trellises, arbors or fences. It may also be grown on the ground to cover old stumps, rock piles and other “eyesores”. Pink dye is obtained from the fruit. Decoction of the leaves has been used as a black dye. An infusion of the berries has been frequently found serviceable in rheumatic complaints and is reported to have cured the dropsy. 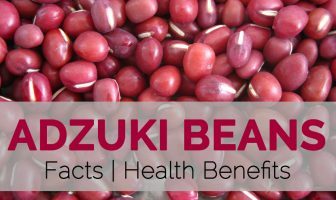 There are 12,000 to 19,000 seeds per pound. 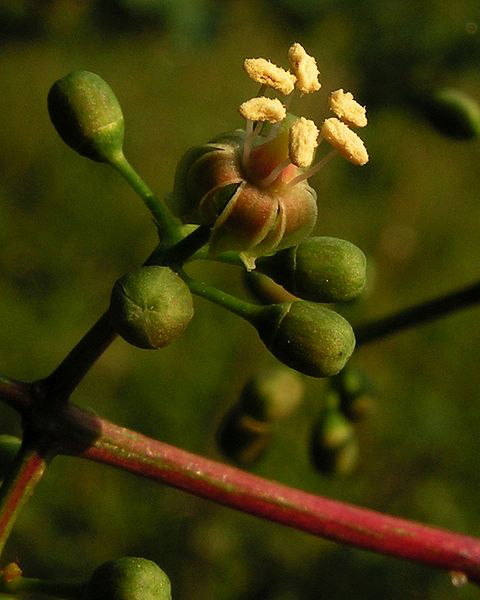 Sap of the plant contains oxalate crystals which causes skin irritation and blisters in sensitive people. Skin contact with the leaves in autumn can cause dermatitis in some people. Some evidence suggests the berries are poisonous. It is be avoided by pregnant and breast feeding women. Growing Climate Deciduous woodlands, woodland borders, thickets, gravelly seeps, limestone glades, rocky bluffs, fence rows, and walls of buildings. It can adapt to disturbed habitats in both rural and urban areas. Soil Prefers acidic soil, and tolerates a wide range of soils from dry sandy soils to moist loamy soils. Stem New stems are brownish-green and finely hairy but gradually acquire pale, raised dots and turn purplish-brown with age with branched tendrils that end in adhesive discs. Bark Gray-brown, becoming coarsely hairy due to aerial roots and tendrils. When rapidly growing, the aerial roots are bright, orange-brown. Twigs Orange brown, finely pubescent with pinnately branched tendrils ending in adhesive discs. 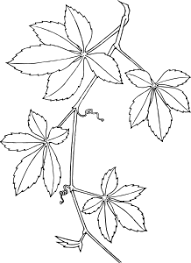 Leaf Alternate, palmately compound, containing five elliptical leaflets per leaf with coarsely crenate to serrate margins. Leaflets range in size from 2-6 inches and have toothed margins. Flower Small, no showy, greenish, produced in inconspicuous clusters on long stems in late spring. Plant Parts Used Root, Bark, twigs, fresh leaves, berries, resin. The stalks are cut, boiled and peeled, and the sweetish substance between the bark and the wood is used for food. Parthenocissus engelmannii Koehne & Graebn. ex Graebn. Parthenocissus radicantissima Koehne & Graebn. ex Graebn. Parthenocissus saint-paulii Koehne & Graebn. ex Graebn.